Known as one of the men who played a very fundamental and instrumental role in the development of quantum mechanics, Max Born was friends with one of the brightest minds of the 20th century in Albert Einstein. He was a brilliant man who through his research and inventions as a physicist helped shape the world as we know it today. We take a closer look at his family, his inventions and his legacy as a scientist of repute. Max was born on December 11, 1882, in Breslau which is modern day Wroclaw, Poland. At the time of his birth, Wroclaw was part of the Prussian Province of Silesia which was part of the German Empire. He came from a family of intellectually gifted folks, his father was a Gustav Born anatomist and embryologist as well as a professor of embryology at the University of Breslau. His mother came from a line of Silesian industrialists; she was named Margarethe Gretchen nee Kauffmann. The Borns were a Jewish family. Born had a sister, Kathe who was born in 1886 two years before the passing of their mom. Max was four at the time of her passing. He would later have another sibling, Wolfgang, a half-brother from his father’s second marriage with Bertha Lipstein. Max attended the Konig Wilhelm Gymnasium in Breslau. Due to the German education system that allowed for the free movement between colleges, Born was able to shuttle between universities in Zurich, Heidelberg, Breslau, and Gottingen. His dissertation on the stability of elastic wires and tapes was written at the University of Gottingen in 1906 under the supervision of mathematician, Felix Klein. Max Born was awarded a Doctorate for his work the following year in 1907. Upon his graduation from college, Born was drafted into the military to perform his military service. He became a part of the German Army, posted to serve at the 2nd Guards Dragoons “Empress of Alexandra of Russia”, stationed in Berlin. His time with the military was short-lived, he was discharged on a medical basis after an asthma attack. Higher analysis, Astronomy, Physics, and Matrix Calculus were the areas of science that struck a chord with Born’s intellectually fertile mind. He traveled to England to study Physics at Gonville and Caius College, Cambridge. There he met the likes of J.J. Thompson, Joseph Larmor, and George Searle. Einstein’s article, On the Electrodynamics of Moving Bodies about special relativity brought up interest in Born. He linked up with Minkowski, returned to Gottingen and there they began researching special relativity. They were making good progress before Minkowski passed away suddenly of appendicitis on January 12, 1909. Born was later able to publish his work and published a paper on The Theory of Rigid Bodies in the Kinematics of the Relativity Principle. It was this piece that brought about the concept of Born Rigidity. Though he lived during an era of steady change and conflict on a global scale, Born was able to put in good work that has helped shape the world as we know it. Along with Niels Bohr, Werner Heisenberg, Erwin Schrodinger, and Max Planck, Born is seen as one of the founders of quantum mechanics or physics. The study of matter at the smallest of levels, from the atomic to the sub-atomic levels has imprints of Borns work. These founding strides have led to the invention of present-day items such as lasers, modern electronics, the personal computer, and MRI. If we chalked all these under “inventions by Born & co” we would be right to a certain degree. 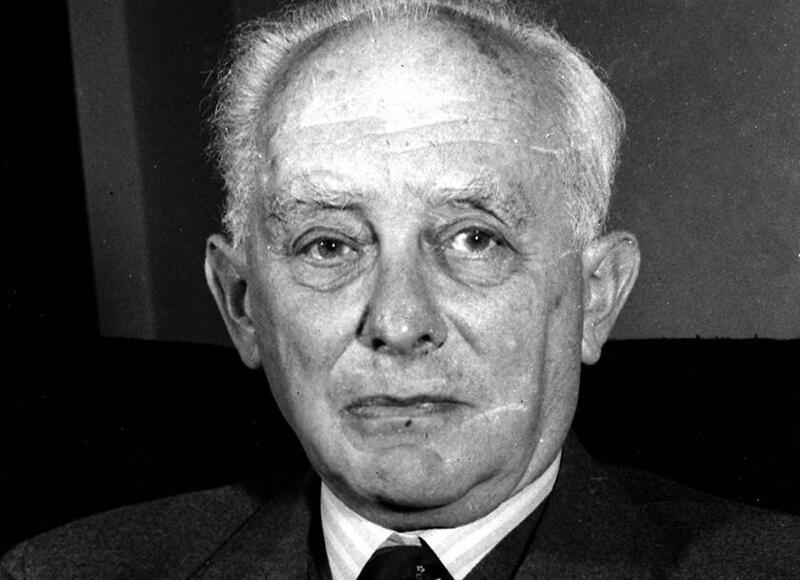 Max Born was nominated to receive the Nobel Prize in Physics thirty-four times. He finally received it in 1954 with physicist Walther Bothe for his statistical interpretation of the quantum mechanics wave function. Among his many achievements was the first mathematically precise statement of the First Law of Thermodynamics. Born met his wife Hedwig Martha Ehrenberg in 1912. The pair were married a year later and the union was blessed with three children, two girls, and a boy. His girls were named Irene and Gritli, his son was named Gustav. The relationship between Born and Hedwig was a difficult one and the pair usually spent time apart. The grandchildren of Max Born today are quite recognizable. The singer Oliva Newton-John is the daughter of Irene. The actor Max Born is his grandson as well. His great-grandchildren aren’t doing badly either, the singer and actress Chloe Rose Lattanzi is his great granddaughter as well as songwriter Brett Goldsmith and racing car driver Emerson Newton-John.